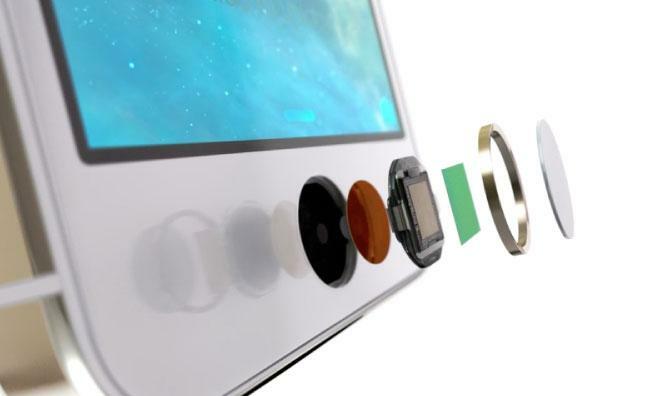 While stopping short of announcing an comprehensively outlined strategy for facilitating mobile payments, Apple's chief executive Tim Cook linked the concept with iPhone 5s' Touch ID system. "The mobile payments area in general is one we've been intrigued with,' Cook stated in the company's earnings conference call with analysts today, adding, "It was one of the thoughts behind Touch ID." Apple introduced Touch ID as a feature to make it easy and convenient to unlock a smartphone, but also made it optionally possible to verify mobile purchases made via the company's own iTunes Store. It hasn't enabled any other online merchants to use the hardware device to verify purchases, nor has it opened up third party access to Touch ID's fingerprint scanner or the A7's Secure Enclave verification computing resources for any other purpose. Cook reported a favorable public response to the existing functionality offered by Touch ID, stating, "we're seeing that people love being able to buy content, whether it's music or movies or books, from their iPhone, using Touch ID." He described the ability to verify iTunes purchases via Touch ID as "incredibly simple and easy and elegant." And while he was quick to note that Apple currently has nothing specific to announce about the future features of Touch ID, he did state that "it's clear that there's a lot of opportunity there" in mobile payments. "You can tell by looking at the demographics of our customers, and the amount of commerce that goes through iOS devices versus the competition, that it's a big opportunity on the platform a big opportunity on the platform," he stated. Last week, the Wall Street Journal rather safely claimed Apple was "laying the groundwork" for a mobile payments systems for goods and services. However, while hinting at an interest in developing support for Touch ID authentication of digital transactions outside of the iTunes Store, Cook also noted that "we're not limiting ourselves just to that," suggesting that there were additional uses of Touch ID beyond the seemingly obvious extension of existing purchase verifications in iTunes. Prior to Apple acquiring AuthenTec as the cornerstone of its Touch ID strategy, the firm described its fingerprint scanner hardware as "the world's smallest authentication/navigation smart sensor in a durable package," and detailed its ability to work as a highly precise trackpad capable of recognizing subtle gestures. AuthenTec specifically described its sensor as being able to function as a "precise cursor control for text editing," with support for "360 degree mouse navigation," "optical joystick emulation," or as a "unique turbo-scroll feature for rapid browsing of long emails, contact lists or websites," according to public information released by the firm prior to Apple's acquisition of the firm and its intellectual property.